Every Mac comes with an administrator account. But it’s always good to keep either one or two more such accounts handy. Although, admin accounts work same as standard user accounts, including Safari bookmarks, desktop, backgrounds and home folder. Nevertheless, the major difference lies with special permissions needed to change the way Mac does things. Adding an administrator account is a no brainer. Just make sure you’re logged in with an admin account, provided when Mac was set up first. 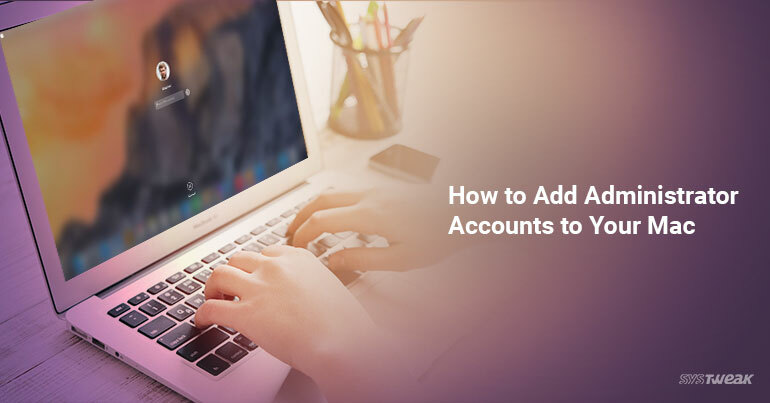 Though you can convert a standard user account to an administrator account and here’s how you can do it. Select ‘User & Groups’ or ‘Accounts’ icon (based on your version of Mac OS) to open the Account preferences pane. Click the lock icon and proceed by entering your password to be able to make changes. Once the New Account sheet appears, select ‘Administrator’ from the dropdown menu of account types. Enter the full name of the account holder in ‘Full Name’ field and a nickname in ‘Account name’ section. Make sure you’re using only lower-case letters and using no space. Create a password in ‘Password’ field and Verify it by typing again in ‘Verify’. If you’re confused, click on the ‘key’ icon and the Password Assistant will help you generate a password. Enter a hint for your password, it should help if you forget the password. Click on Create User button and the account is created. Once the new administrator account is created, a randomly chosen icon and the account’s short name are used to form a new Home folder. Make sure to click the lock icon at bottom left corner of Accounts preferences panel to restrict others from making changes. Now that you restart your Mac, you find your newly created administrator account, enter the password and jump on the bandwagon.